The fight for democracy in Poland deserves European solidarity – but it should not simply consist of commissioners pointing fingers from Brussels. Poland can become a great place to start democratising Europe through enhanced social dialogue on the future of the continent, but a blanket espousal of liberal democracy will be counterproductive. The rule of the governing right-wing Law and Justice party (PiS) in Poland is – as used to be Orban’s party Fidesz in Hungary – political fuel for at least two tendencies amongst the EU Member States. These two countries’ government are seen as mobilising Europe to come together and reinvent itself after the Brexit referendum, and at the same time provide a key argument for proponents of a ‘multi-speed Europe’, i.e. one based around a consistent core made up of what is currently the Eurozone (or even smaller in some visions). An awareness of these tendencies – symbolised by Emmanuel Macron’s calls for a separate Eurozone budget and a minister of finance – is quite widespread in Poland. It results in a replay of the old division between the ‘liberal Poland’ of the centre-right Civic Platform (PO) and the PiS party’s vision of a ‘Poland of solidarity’ from 2005. The Polish opposition uses these European tendencies to show the growing isolation of the right-wing populist government (most starkly symbolised by the 27:1 vote to re-elect co-founder and chairman of Civic Platform Donald Tusk as the President of the European Council). PiS on the other hand sees them as yet more proof that behind nice words about democracy and common values lie traditional, national interests, that are often in direct opposition to ‘Polish national interest’. It leaves very little space for a much-needed progressive voice that would present both a vision of a better Europe and – in the more short-term – a way to communicate between Brussels and Warsaw that will not give more political fuel to the PiS government. Looking at the PiS’s vision of Europe is important in order to understand why the government would risk isolation in Europe – and why European commissioners and politicians using arguments about the ‘rule of law’ and ‘European values’ will yield very little persuasive power over the government. Yet, at the same time there are voices – also from Poland – arguing for a hard course against Prime Minister Beata Szydło’s government. Such a voice has recently been published in Social Europe in its occasional paper titled How To Deal With Poland And Hungary. The paper is a conversation between Social Europe’s editor-in-chief, Henning Meyer, and Grzegorz Ekiert, a scientist and Director of the Minda de Gunzburg Center for European Studies at Harvard University. He summarises recent developments in Poland, such as the fight over the independence of the Constitutional Courts, the hijacking of public media, and the plans to ‘re-Polonise’ private media. He also showcases recent changes in economic policy, which he sees as being discriminatory towards foreign investors, and calls policies such as family subsidies or lowering the retirement age populist measures attempting to buy the electorate and give the leader of PiS, Jarosław Kaczyński, the 40% vote which will secure him the absolute majority he needs in the next parliament. The problem with Ekiert’s analysis of Poland from a progressive point of view is that it focuses on the institutions of liberal democracy, such as courts or media, in an idealistic fashion, largely separated from the way they have been working in the region. They are presented as tools to curtail authoritarian rule, but there is no acknowledgement that this is an assumption that can be misleading in two ways. First, liberal institutions and politicians in this view are seen as moderate, yet some of their social agendas are not moderate at all. The previous centre-right government led by Civic Platform (PO) hiked up the pension age and reduced who is eligible for early retirement. While currently criticising the government for ignoring over 900 thousand signatures for a referendum against the current education reform the party does not admit it had the same disregard of popular concerns when it declined to organise a referendum on the retirement age. While much may be (rightly) said about the drift of PiS towards an illiberal democracy, there are spheres in which the main party of the liberal camp was not all that much different. Sadly, most of the people pointing out this fact and arguing for a more ambitious, socially oriented political turn away from the current opposition’s adherence to ‘procedural liberalism’, are being called ‘symmetrists’, and are accused of justifying the actions of the current government and sabotaging a supposed solution – that is, a joint electoral list of all the parties that are against PiS rule. This ‘checks and balances liberalism’ agenda is pushed to the point that Emmanuel Macron is seen as an inspirational figure on parts of the Polish centre-left even though he wants to liberalise the Labour Law – just because he managed to beat the far-right National Front. The progressive camp (not only) in Poland seems therefore to settle with ‘business as usual’, maybe with a few tweaks here and there, rather than to offer a distinct political vision and showing how it can be done. This results in a situation where social rights are not seen as democratic rights (and instead put into a basket labelled ‘populist measures’) that only strengthens the existing divisions in Polish society, making it harder for people from the conservative side to cross the political bridge. Poland and Hungary show the strength of right-wing populism when it puts its money where its mouth is. Faith in dialogue as a way to convince people over to progressive ideas is being substituted by just mobilising already convinced voters from one’s political camp. This process is pushing liberal democracy away from its inclusive principles into the territory of social conflict, division, and segregation. In effect the vision of “two Polands” – the liberal one and the conservative one – becomes a self-fulfilling prophecy, basically playing into a polarising PiS narratives about both the way majoritarian democracy should work and how the ‘liberal camp’ has nothing but disregard towards the ‘common folk’ that Kaczyński’s PiS party tries to represent. We may detest what Kaczyński does to democracy in Poland – but we also have to take notice of the fact that he takes his campaign promises largely seriously and actually achieves something. That is why Poland and Hungary – contrary to Trump and Brexit – show the strength of right-wing populism when it puts its money where its mouth is. People want to see that governments actually can do something other than argue that nothing is possible in a more and more globalised world and make cuts in social spending. Ekiert’s remarks about liberal institutions also discards the fact that social programmes (labelled ‘populist’ by the liberal opposition and therefore irresponsible) can also become important social institutions. The policy of giving 500 PLN for every family’s second and next child (and a reduced sum for the first child of a family that meets the income criteria too) with all its costs and faults – most visibly seen as discriminating single parents, mainly women – is an important institution of social life in the same way as the British NHS, for example, or the Brazilian Bolsa Familia programme. Putting this fact aside may be the biggest mistake of the current liberal opposition in Poland, which already has serious problems with acknowledging the social effects of the economic transformation after 1989. It did not ‘lift all the boats’ and left behind many broken communities, whole regions, and problems that haunt us to this day (such as the exclusion of large parts of the countryside and small towns from access to public transportation). Ekiert’s story seems to take an ahistorical view of the situation – as though Poland after 1989 has been great in every way and it is only recently that a small minority has forced it to deviate from the shining path of liberal progress. It also disregards people’s choices. It is true that PiS got 20% of the votes from the total electorate and therefore has only a rather tenuous mandate to change the whole political system. But the question is also why did the liberal opposition not gain more votes and seats? Whilst noticing the need to connect the struggles of opposition parties and civil society against PiS rule with other European actors, Ekiert also seems to suggest that European institutions have the biggest role to play. This narrative at times risks sliding into a narrative of waiting for tanks from Brussels – just as some progressive-minded people in Poland wait for a leftist Messiah that will create a new party and save the country from Kaczyński and Szydło. The whole argument of Europe as a ‘space of values’ is, in the Polish context, largely not resonant – and with good reason. No Polish government since its accession to the EU in 2004 has promoted Europe as a space of values (with the exception of trying to put God and Christian values to the preamble of the project of the Constitution for Europe) – rather, it has been portrayed as a money machine. The downward turn initiated by the PiS isn’t a recent event. Was Poland a European leader in climate policy before their election in 2015? Why hadn’t it ratified the Charter of Fundamental Rights of the EU? Why aren’t we asking these questions to the ‘defenders of democracy’ that ruled in Warsaw for the previous 8 years and could not pursue such liberal minima as civil partnerships? The ‘Europe of values’ was, on the other hand, seen by the Polish electorate when the European Union pushed more and more cuts onto Greece. Even the current attempts at ‘defending democracy from Brussels’ are put into such a context that they just give more ammunition to PiS government – like arguing against changes in courts because the law on the Supreme Court discriminates regarding the retirement age of men and women (the plans were to force judges to retire after being 60 years old in case of women and 65 in case of men). This is not helpful when seen in the context of the need for economic security of Poles and the fact that lowering of the retirement age was seen in the opinion polls as one of the most important changes of PiS government. Anybody wanting to see a truly democratic, progressive, and European Poland needs to do as much as possible regarding connecting civil society and ‘common citizens’ from different countries. We need to use the illiberal rule in Warsaw to foster a truly transnational public sphere and discussions about the future of the continent. The European Commission, currently focusing on pointing out the risk to the rule of law in Poland, may be unconsciously feeding into the PiS narrative about Europe. Party politicians point to the Nord Stream gas pipe as proof that the‘common values’ of the EU are a smokescreen to pushing national interests of stronger states, particularly Germany. The EU does not need to capitulate regarding protecting the rule of law in Poland. What it should do is to put much more emphasis in strengthening European ties to Poland, for example by more robust financing of Europe Direct agencies that inform people about the work of the EU (present not only in large cities, but also smaller university towns for example). 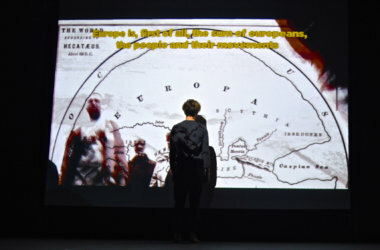 Their main focus should change from merely providing information to creating places of open, pluralist debates on the vision of Europe, the meaning of European values, and concrete policy from different perspectives, involving both pro-government, pro-opposition as well as civil society actors. European institutions should also emphasise more the readiness to financially support investments that are portrayed by the government as not aligning with its vision of Polish interests. The most obvious case is climate policy where Polish addiction to coal needs solid help regarding i.e. supporting the adaption of local communities. It is crucial for EU institutions to not allow the PiS government to portray the Europe-wide climate goals as being in contradiction to the development of Poland or as requiring Member States to change their energy systems without necessary assistance, for example. While this strategy may look more down-to-earth (as it focuses on financial arguments and not the ones about democratic principles) it also allows for communication in a language more widely understood than vague references to ‘European values’ and – at the same time – is a positive alternative to more or less covert ideas of side-lining Poland, such as by arguing for cutting the flow of EU funds that in the end will hit local Polish communities and allow PiS to further fuel Eurosceptic resentments in its electorate and beyond. As PiS and the more right-wing Kukiz’15 political grouping like to say that criticising Poland in the European institutions is similar to ‘squealing’ or even treason the role of every progressive political force both in Poland and in Europe should be to show that EU institutions are also institutions working for Polish citizens and Poland as such. Failures in this field by European politicians (by showing disinterest on issues such as strengthening co-operation with Ukraine or disregarding well-founded doubts on the issue of Baltic Nord Stream 2 pipeline from Russia to Germany) will allow PiS to further saw the seeds of nationalism. It is true that it is hard to debate with a government with such a narrow vision of European solidarity and which is prone to seeing the world through ‘alternative facts’, such as no-go zones ruled by Sharia law in Western-European cities. It is all the more important to directly show that a better Europe working for the people (more exemplified by cancelling roaming charges than pushing austerity measures on Greece) would also be working for Poles. This lack of success of the alternative proposed by the opposition – i.e. the liberals sticking to the political ‘business as usual’ – can be seen in the opinion polls that showed the PiS on a massive 40%, and the PO on 21% straight after the battle over the independence of the courts. Polls also show that 50% of Poles would prefer to leave the EU than be forced to accept refugee quotas from Brussels. The strategy of top-down enforcement of liberal democracy (and – let me repeat it – a narrow version of it) will not bring progressive Poland to life. Original piece published by Green European Journal. Lead image: mermaid on the crest of Warsaw as its symbol, since the mid of the 14th century by Dennis Jarvis, Flickr.